2015 Nissan Versa 1.6 S Brilliant Silver CARFAX One-Owner. Clean CARFAX. **BLUETOOTH**, **NISSAN CERTIFIED**, Super Low Miles!, *5 SPEED MANUAL*. Nissan Certified Pre-Owned Details: * Limited Warranty: 84 Month/100,000 Mile (whichever comes first) from original in-service date * Roadside Assistance * Vehicle History * 167 Point Inspection * Warranty Deductible: $50 * Includes Car Rental and Trip Interruption Reimbursement * Transferable Warranty (between private parties) 2015 Nissan Versa 1.6 S. Thank you for visiting Executive Jeep Nissan. Since 1972 we have served the Hartford, New Haven, Berlin, Wallingford Guilford and North Haven areas and have helped new car and used car buyers find the perfect vehicles to drive home in. After decades of service to our customers, we have become synonymous with providing a quality selection, excellent prices, and friendly service. Our Difference is the Key! 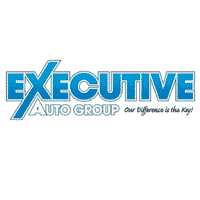 *Price excludes state and local tax, registration fees, and dealer conveyance fee or processing fee. black Cloth. Certified. Kia Certified Pre-Owned Details: * Transferable Warranty * Powertrain Limited Warranty: 120 Month/100,000 Mile (whichever comes first) from original in-service date * Limited Warranty: 12 Month/12,000 Mile (whichever comes first) "Platinum Coverage" from certified purchase date * Includes Rental Car and Trip Interruption Reimbursement * Vehicle History * Roadside Assistance * 164 Point Inspection * Warranty Deductible: $50 2017 Kia Rio LX Clear White 27/36 City/Highway MPG Awards: * 2017 KBB.com 10 Most Awarded Brands For more information on this vehicle, or any of our high quality,fully reconditioned,warranty backed, pre-owned or new vehicles, please visit us at www.executivekia.com. **KIA CERTIFIED**, **BLUETOOTH**, **USB**, **POWER DRIVER SEAT**. Certified. Kia Certified Pre-Owned Details: * Includes Rental Car and Trip Interruption Reimbursement * 164 Point Inspection * Roadside Assistance * Powertrain Limited Warranty: 120 Month/100,000 Mile (whichever comes first) from original in-service date * Vehicle History * Limited Warranty: 12 Month/12,000 Mile (whichever comes first) "Platinum Coverage" from certified purchase date * Transferable Warranty * Warranty Deductible: $50 2015 Kia Soul Plus Titanium Gray Awards: * ALG Residual Value Awards * 2015 KBB.com 15 Best Family Cars For more information on this vehicle, or any of our high quality,fully reconditioned,warranty backed, pre-owned or new vehicles, please visit us at www.executivekia.com. **KIA CERTIFIED**, **ONE OWNER**, **BLUETOOTH**, **USB**, 1 Owner Clean Carfax, Clean Carfax Certified!. Certified. Kia Certified Pre-Owned Details: * Limited Warranty: 12 Month/12,000 Mile (whichever comes first) "Platinum Coverage" from certified purchase date * 164 Point Inspection * Powertrain Limited Warranty: 120 Month/100,000 Mile (whichever comes first) from original in-service date * Transferable Warranty * Vehicle History * Includes Rental Car and Trip Interruption Reimbursement * Roadside Assistance * Warranty Deductible: $50 2015 Kia Soul Titanium Gray Odometer is 1598 miles below market average! 24/30 City/Highway MPG Awards: * ALG Residual Value Awards * 2015 KBB.com 15 Best Family Cars For more information on this vehicle, or any of our high quality,fully reconditioned,warranty backed, pre-owned or new vehicles, please visit us at www.executivekia.com. **KIA CERTIFIED**, **ONE OWNER**, **BACK UP CAMERA**, **BLUETOOTH**, **USB**, *SATELLITE RADIO*, CRUISE CONTROL, APPLE CARPLAY, ANDROID AUTO, LX POPULAR PACKAGE. Certified. Kia Certified Pre-Owned Details: * Powertrain Limited Warranty: 120 Month/100,000 Mile (whichever comes first) from original in-service date * Transferable Warranty * Warranty Deductible: $50 * 164 Point Inspection * Limited Warranty: 12 Month/12,000 Mile (whichever comes first) "Platinum Coverage" from certified purchase date * Includes Rental Car and Trip Interruption Reimbursement * Vehicle History * Roadside Assistance 2018 Kia Forte LX Snow White Pearl 29/37 City/Highway MPG For more information on this vehicle, or any of our high quality,fully reconditioned,warranty backed, pre-owned or new vehicles, please visit us at www.executivekia.com. **KIA CERTIFIED**, **ONE OWNER**, **BACK UP CAMERA**, **BLUETOOTH**, **USB**, *SATELLITE RADIO*, **17" ALLOY WHEELS**, 1 Owner Clean Carfax, Clean Carfax Certified!, CRUISE CONTROL, POPULAR PACKAGE, APPLE CARPLAY, ANDROID AUTO. Certified. Kia Certified Pre-Owned Details: * Powertrain Limited Warranty: 120 Month/100,000 Mile (whichever comes first) from original in-service date * Warranty Deductible: $50 * 164 Point Inspection * Vehicle History * Transferable Warranty * Limited Warranty: 12 Month/12,000 Mile (whichever comes first) "Platinum Coverage" from certified purchase date * Roadside Assistance * Includes Rental Car and Trip Interruption Reimbursement 2018 Kia Forte LX Snow White Pearl 29/37 City/Highway MPG For more information on this vehicle, or any of our high quality,fully reconditioned,warranty backed, pre-owned or new vehicles, please visit us at www.executivekia.com. **ONE OWNER**, **SOLD AND SERVICED HERE**, **BLUETOOTH**, **USB**, 1 Owner Clean Carfax, Clean Carfax Certified!. Certified. Kia Certified Pre-Owned Details: * Limited Warranty: 12 Month/12,000 Mile (whichever comes first) "Platinum Coverage" from certified purchase date * Includes Rental Car and Trip Interruption Reimbursement * Transferable Warranty * 164 Point Inspection * Warranty Deductible: $50 * Powertrain Limited Warranty: 120 Month/100,000 Mile (whichever comes first) from original in-service date * Vehicle History * Roadside Assistance 2016 Kia Forte EX Silky Silver 24/35 City/Highway MPG For more information on this vehicle, or any of our high quality,fully reconditioned,warranty backed, pre-owned or new vehicles, please visit us at www.executivekia.com.